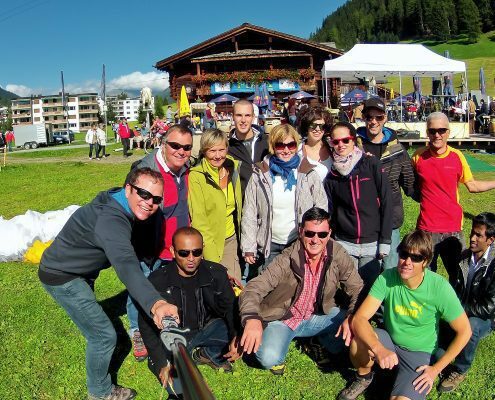 Passenger flights, thermal and cross-country flights, group or teamevents. Please contact us for an individual offer. Your flight photos are already included in all indicated prices. 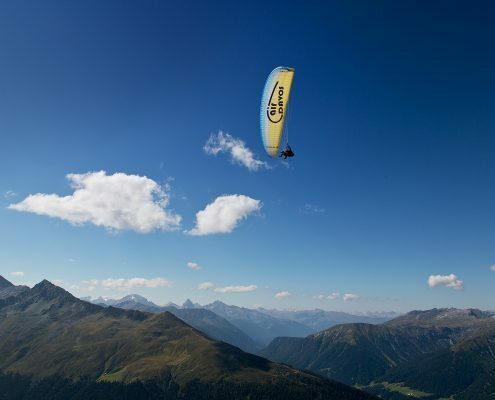 Our most popular tandem flight launches either from Jakobshorn mountain in Davos or Parsenn Klosters. The breathtaking alpine scenery and a total height difference of approx. 1,000 meters will make you feel free as a bird. 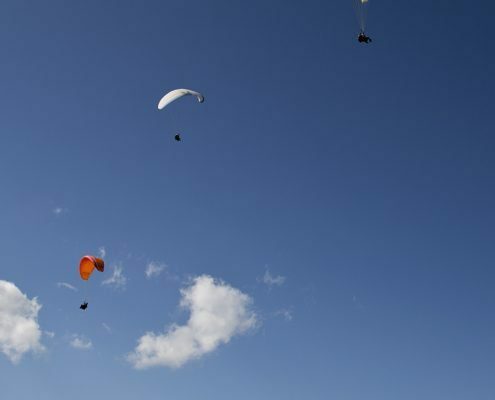 Airtime about 15 – 35 minutes depending on thermal and wind conditions. Photos included in the price. 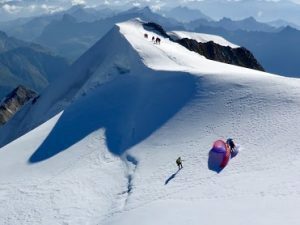 We start with optimal weather and thermal conditions and use thermal upwind winds to gain more altitude or to stay in the air as long as possible. Airtime about 35 – 60 minutes. Photos included in the price. 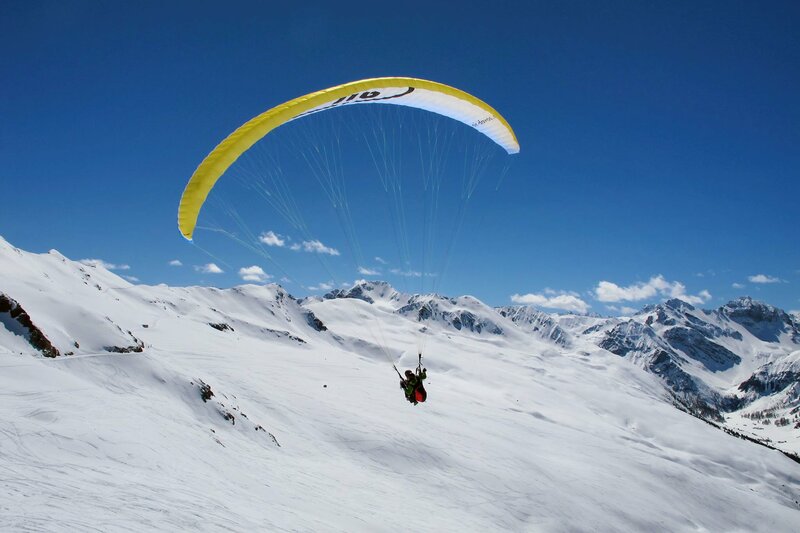 Skiing and Flying is a perfect combination during winter time. 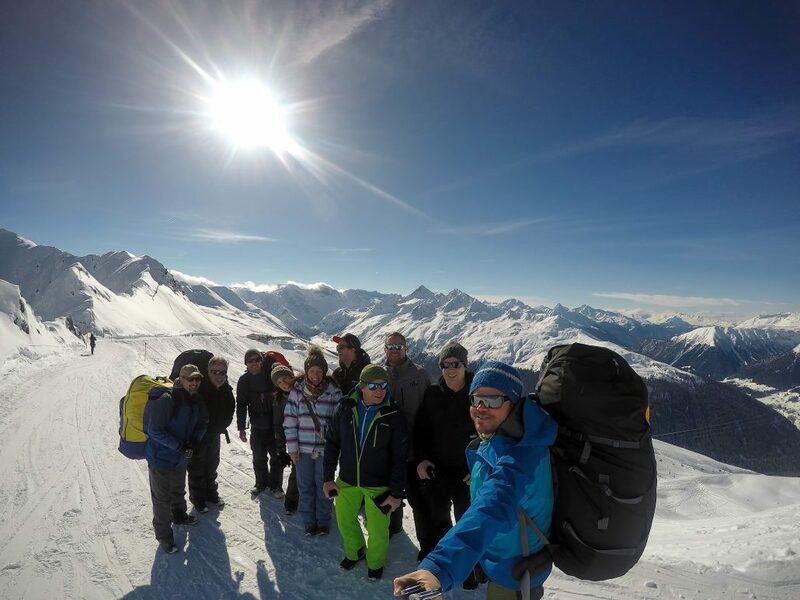 Our launch sites in Davos are located in the middle of the ski area Jakobshorn. 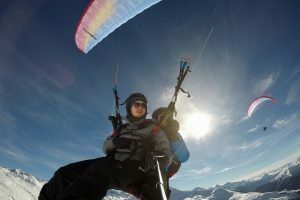 Enjoy a thrilling start with skis and during the flight breathtaking views of the snow-covered Swiss Alps. Photos included in the price. Good skiing or snowboarding skills are required! The best way to multiply your happiness is to share it with others! 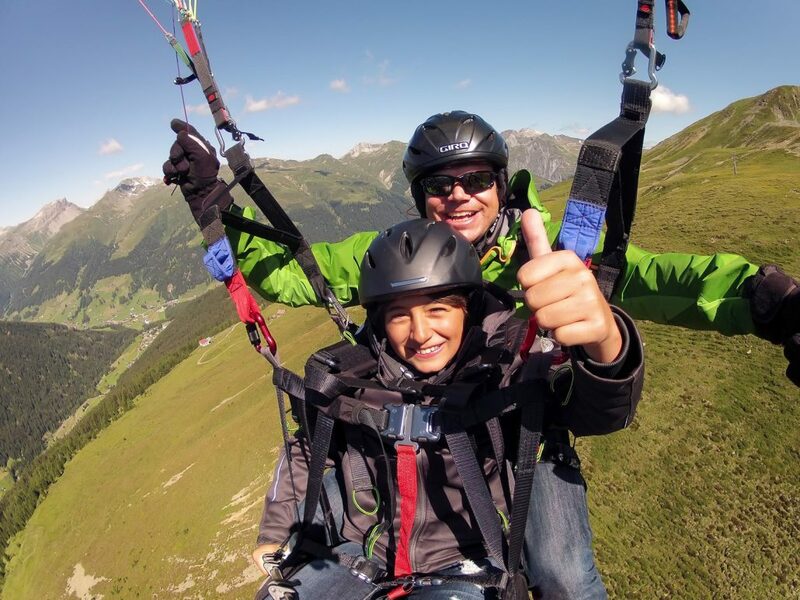 2 pilots take you up in the air together with your partner, best friend or relative. Enjoy a shared experience that you will remember forever! Fly half a day. Depending on the weather situation we make one longer flight or start two times. Photos included in the price. Unlimited flying. 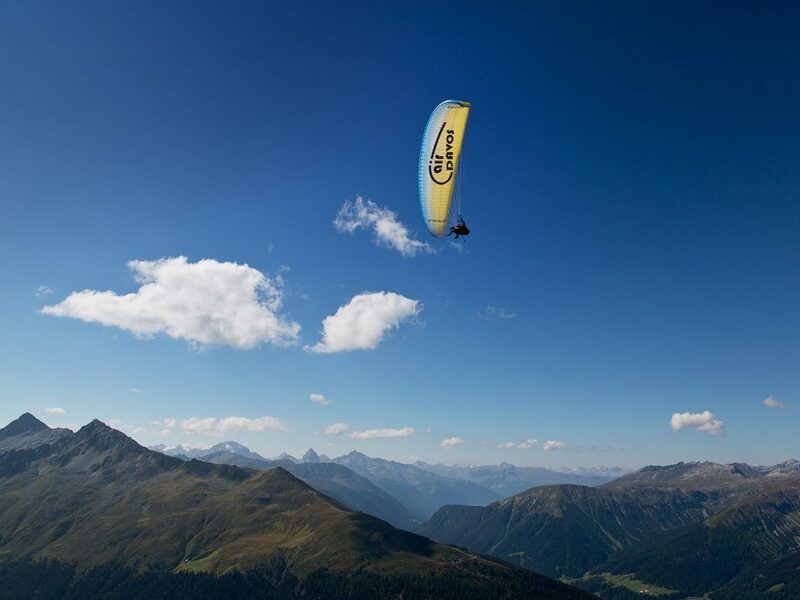 This all day flying experience allows you to get a real insight into this fascinating sport. We fly the whole day from the first to the last ride of the cable car. 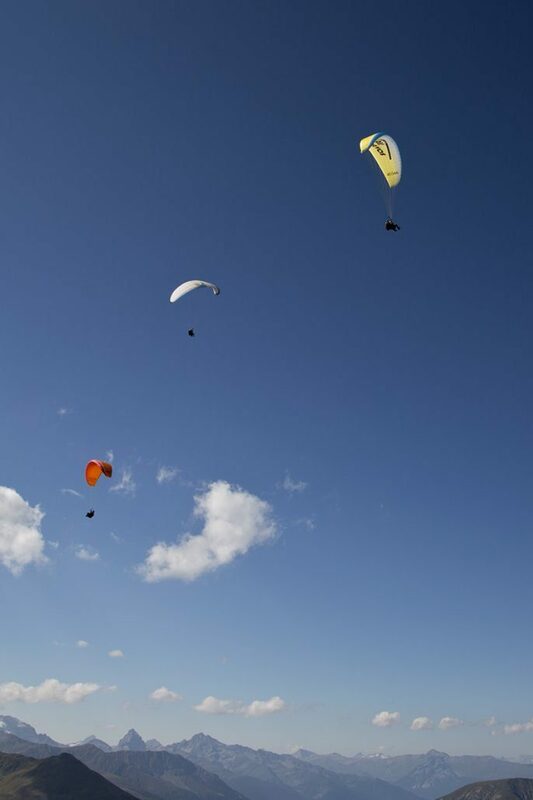 Depending on the season and wind conditions this day includes thermal and cross country flights. Video and pictures included. We take advantage of the pleasant flight conditions in the early morning and take off for a morning flight. The meeting point is shortly after 8 at the Jakobshorn valley station. This flight is also perfect for a ski start. Piz Cambrena (Eisnase) , Piz Palü (normal or east pillar), Piz Bernina (normal or Biancograt), etc. 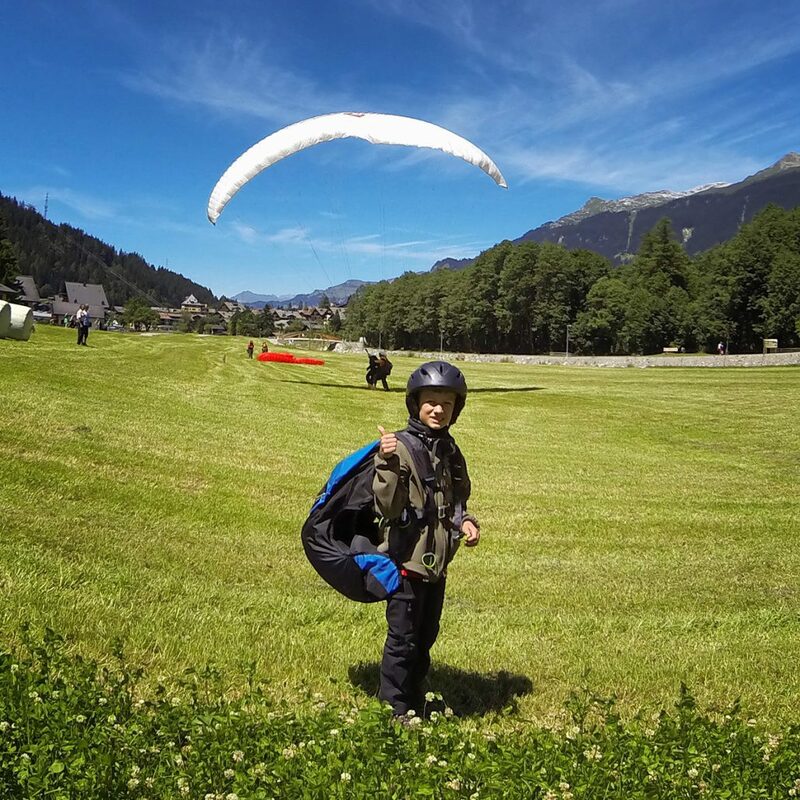 A lot of hikes in Davos Klosters can be combined with flying. Especially in autumn there are beautiful and unforgettable tours. Schwarzhorn, Schiahorn, Sulzfluh (maybe via ferrata), Piz Mitgel to name just a few. 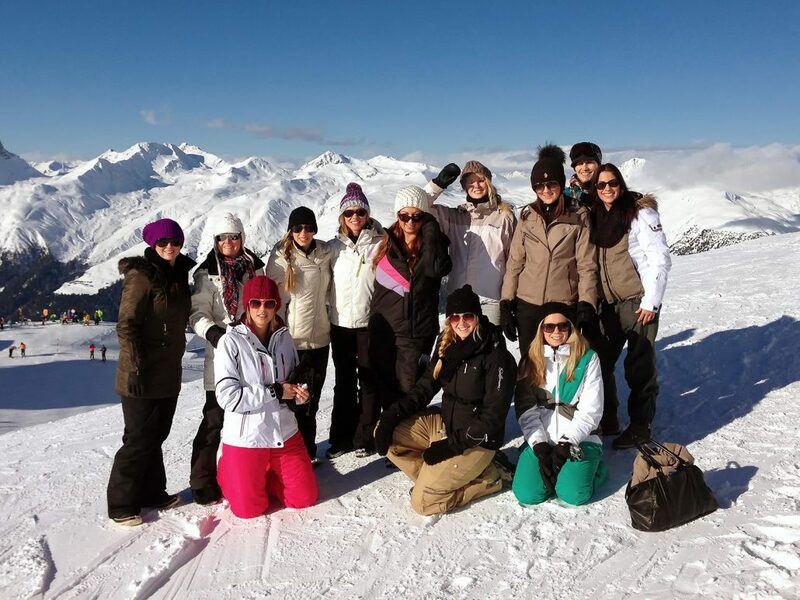 The above mentioned prices are valid for flights in Davos or Klosters and include pictures (available for download or CD). Cable car tickets for passengers are not included. 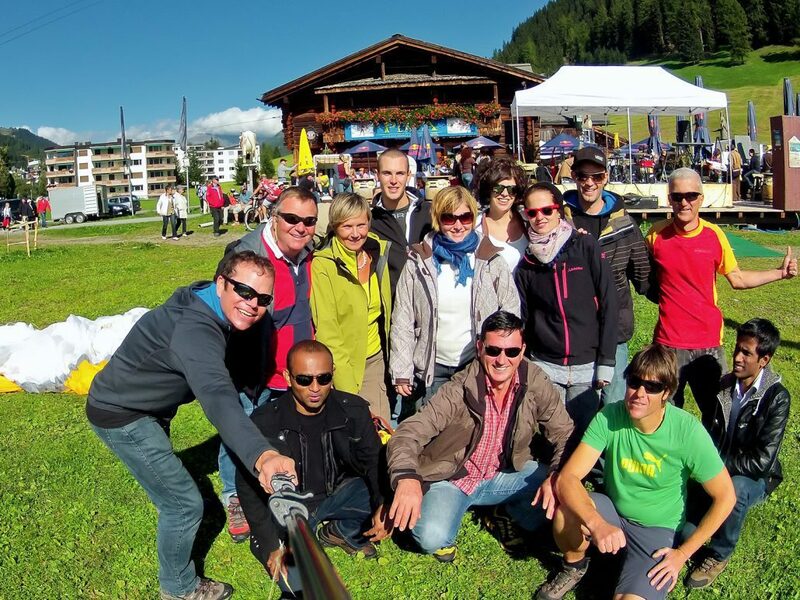 The passenger and Air-Davos pilot meet at the Jakobshorn valley station in Davos if no other meeting point has been arranged for. The cable car will bring them to the different launch sites on the mountain. Once arrived at the top the pilot will make a final check on the weather conditions and decide about the most suitable launch site. Before take off the passenger will get a detailed briefing about the tandem flight including launch and landing procedures. In summer the landing site is a large lawn situated in front of Bolgen Plaza Restaurant. The winter landing site is located next to the chairlift Carjöl (5 min walking distance from Jakobshorn cable car valley station). Would you like to take off with your team? We often fly larger groups and can rely on a large number of licensed tandem pilots. 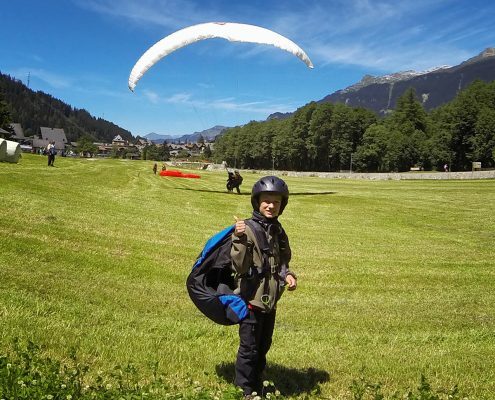 And should the weather be too bad to fly, we can offer a suitable alternative program through our partners, so that they can carry out their event anyway. Contact us for an individual offer. We can take children from the age of 5-6 years (depending on height and weight). 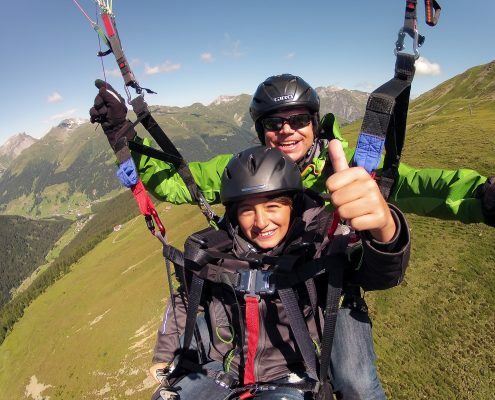 For maximum comfort and safety we use a special children’s harness (SupAir Kinder). The equipment used for flying is checked regularly and offers various safety features e.g. our harnesses come with a protector. 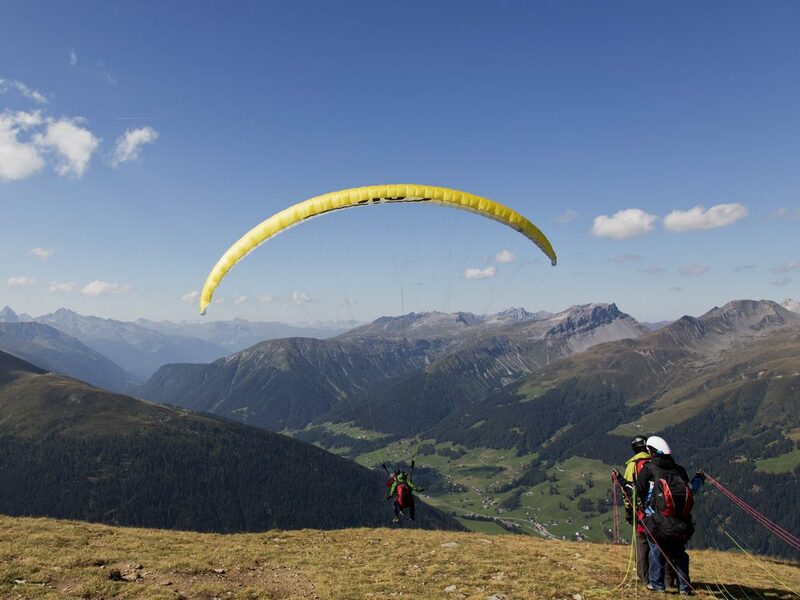 We hold all licenses for conducting passenger flights required by the Swiss Federal Office of Civil Aviation (FOCA). All our pilots are very experienced. 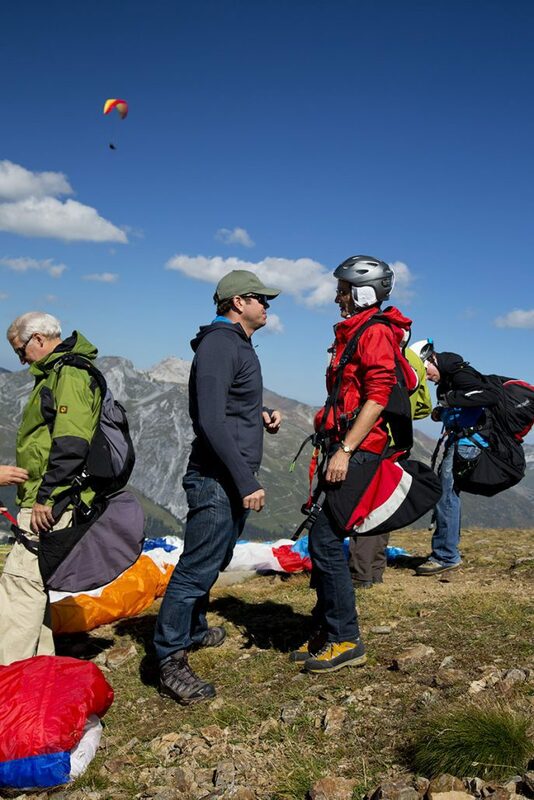 In the unlikely event of problems during the flight the pilot is carrying a rescue which acts as a second paraglider in case of an emergency. Your pilot is equipped with a special HD sports camera which ensures to document your flight adequately. If you purchase the pictures, you receive a download link with the pictures taken during the flight. 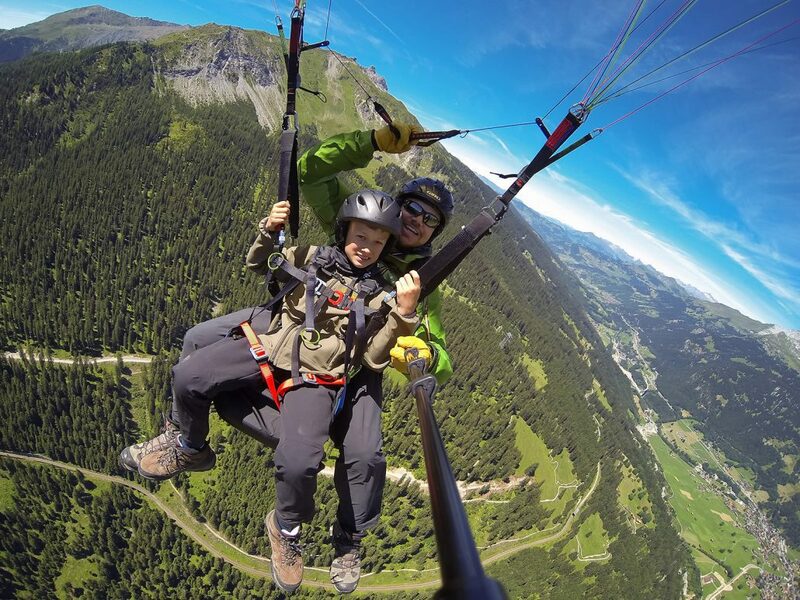 During the flight you may take pictures or make videos with your own cam. We would be happy to create a video of your flight experience. 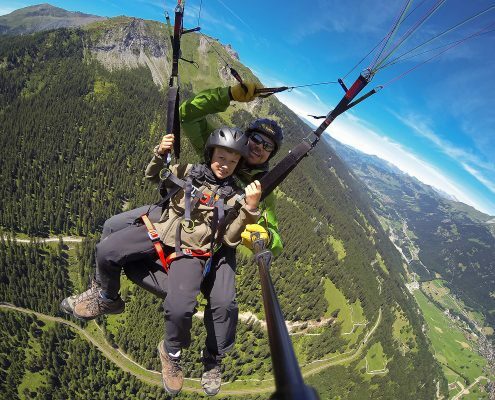 For the thermal flight and tandem flight offers this is possible for a surcharge of 50 CHF. Here you can find some sample videos on vimeo and youtube. Most important for a smooth takeoff and landing is to wear suitable shoes. We recommend to wear hiking boots for your flight. 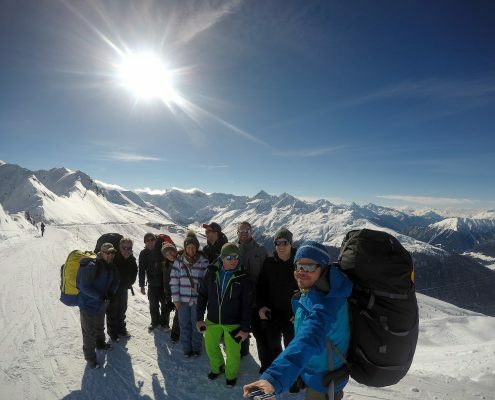 In the winter season a flight with ski or snowboard boots is also possible. During the flight passengers sit in the front seat and are therefore directly facing the wind. It is advisable to wear warm clothes (e.g. windproof jacket, gloves). We will provide a helmet for passengers. 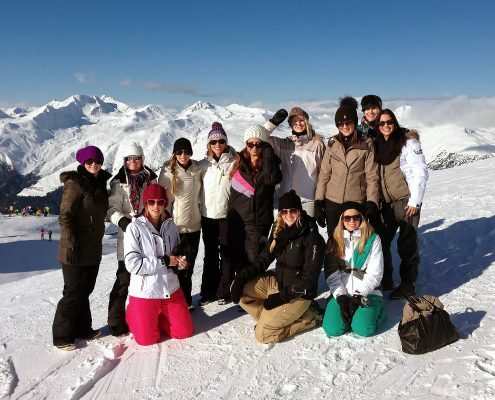 Of course you may also bring your own ski or snowboard helmet. There are no age limitations as long as you have an average level of fitness. Passengers under the age of eighteen years need their parents’ permission. For take off and landing passengers have to run a few steps together with the pilot. During the flight you can relax and enjoy.